The Moscony Single Vanity features a unique quartz counter top that is low-maintenance, incredibly durable, and very hygienic. The counter top, along with the satin nickel hardware, is contrasted by the dark and rich espresso finish of the vanity's body. 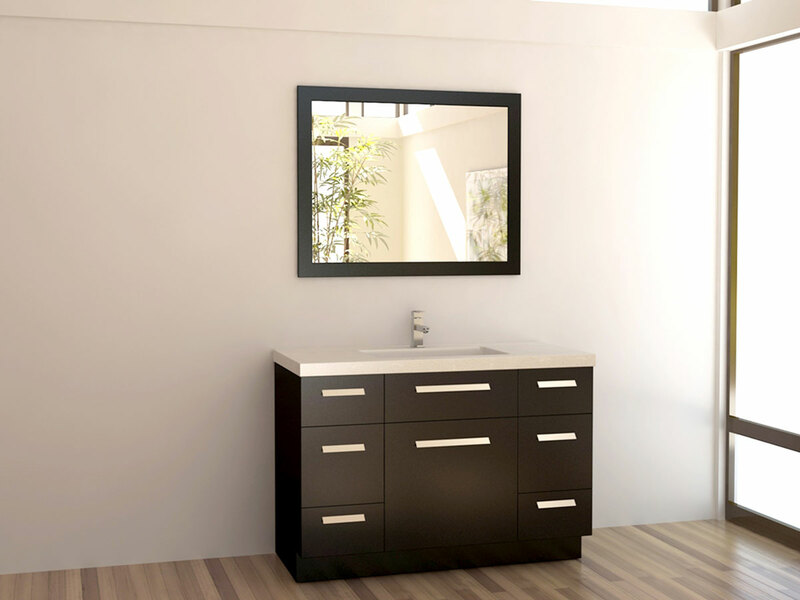 With such clean lines and minimalist charm, this vanity easily completes a modern bathroom's decor. 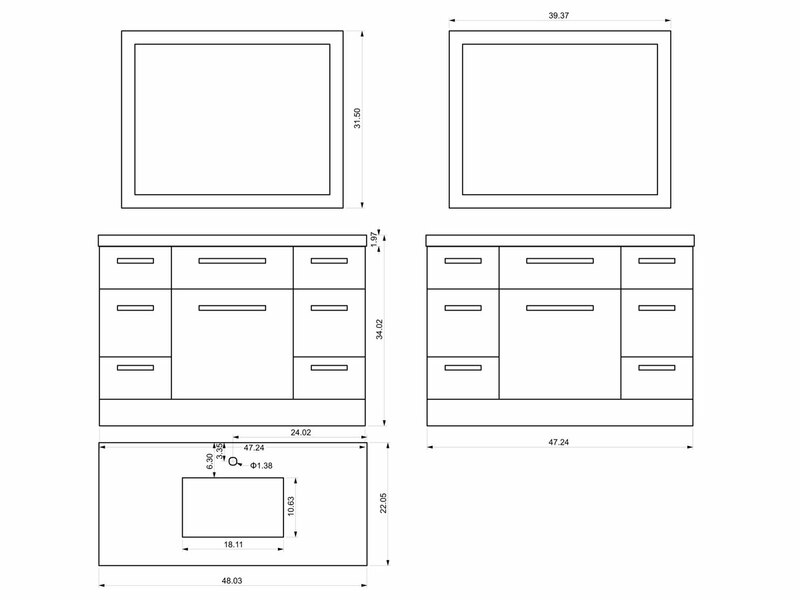 The vanity has four drawers and three cabinet spaces for storing all of your bathroom necessities. A matching framed mirror is also included with this handsome vanity set.